At last we have released our new website. Our old website has been public for several years now without any major upgrades. It was time to make a new one and now it’s here. The purpose of our new website is to provide information about Sacpipe Connection System and our authorized installers. We want to give you our view of the relining in buildings and the opportunities that property owners have in the choice of systems and installers for the renovation. We have some projects references that has been carried out by our authorized installers. Additional references will be added later. We will also present news about Sacpipe Connection System and our authorized installers. We are very pleased with the result and hope that you too. 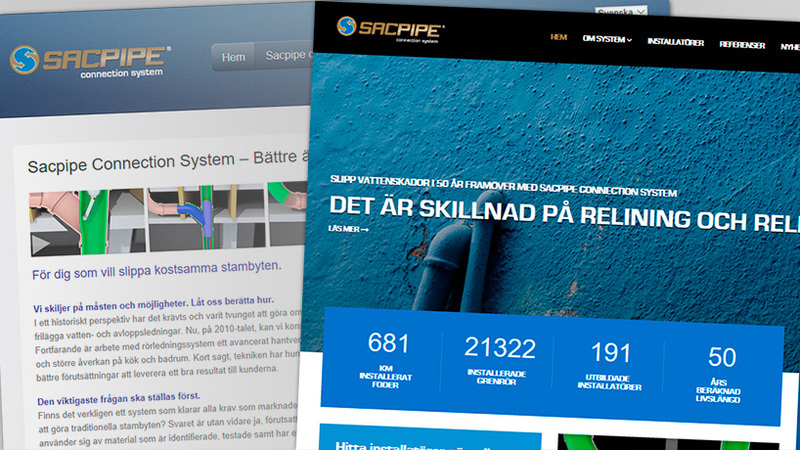 Please send your comments about our new website to info@sacpro.se, then we can become even better.